Not as strong as it's home counterpart but at least there's some cohesion with the set. And with wahoo going away they really need add a feather or at least an outline to that boring C, if they're not going to come out with something new altogether. 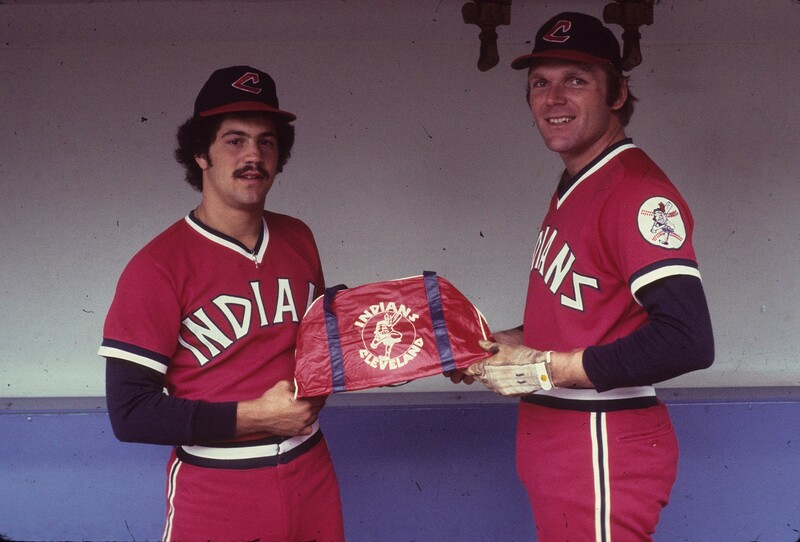 I love both the old I logo and the 70s C.
Why did the Indians drop their matching road uniforms? Maybe not the best look, but at least it matched the home uniforms. 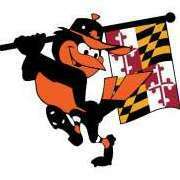 I think they should go back to that when the drop the Wahoo logo. And make the red cap the alternate cap that goes with the popular navy uniforms. I'd be all for team going full-on red with both their home and road sets. Sure, it makes them look a bit like the Reds and Angels, but it'd set them apart from the rest of the AL Central and really help them establish an identity beyond EDITS - by Mod. The font differences, navy cap logo, and a navy-heavy red alternate (navy has too many playoff losses) alone would be enough differentiation from the Anaheim team. Better to look too much like one team that look too much like several other teams. They could even add light blue as an accent color, for more differentiation. They wore it again last night and the more I look at it, the more I like it. This is my reason for wanting them to go for red. They always wear navy especially for the playoffs and I always associate it with heartbreaking losses. It's their version of the Denver Broncos orange jerseys. 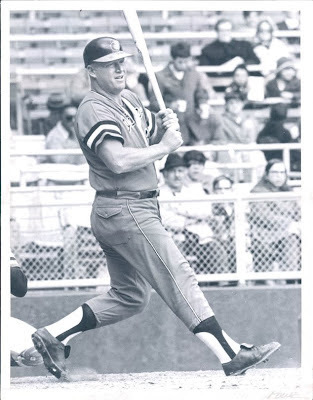 Boog Powell wore the all orange uniform in 1972 and the all red uniform in 1975. Royals are wearing their regular road pants, Mariners are wearing white versions of their pants from 1998. I like how the scorebug has the TATC logos. 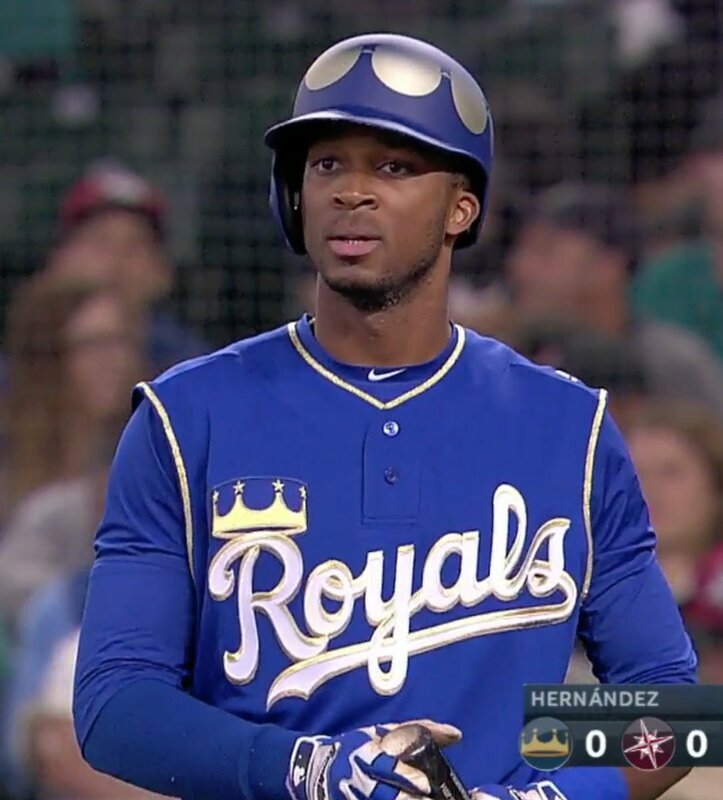 And I know their gold, but the top half of the Royals' helmets look silver from that lighting. Royals should wear that as a full-time alternate with powder blue pants. 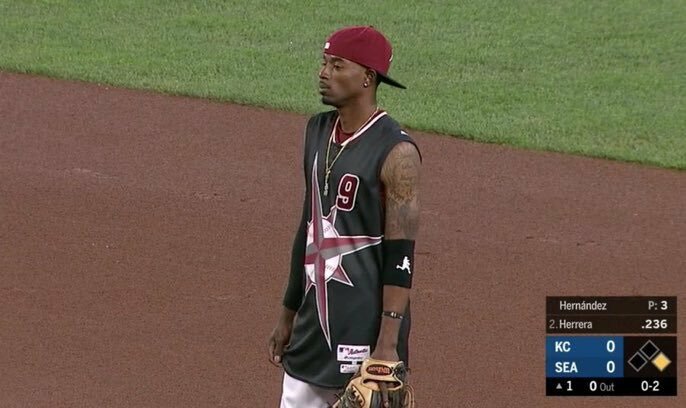 I like some of the Mariners skipping the undershirts, since in 2027 most summer outdoor games will be too hot for sleeves. That was a lot of fun. This TATC game is what players weekend should be like. Wow this is mid game??!? Backwards hat, untucked jersey, this is too much for my taste. I know, but even at the time some of us thought Junior should have spent a little less time in front of the mirror and a little more in the training room. 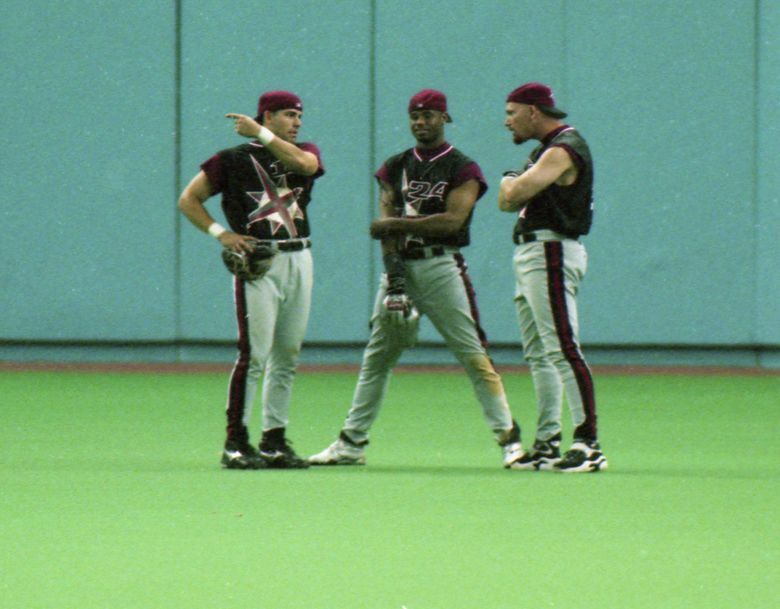 Griffey is in the dugout there, does anyone know if he wore the backwards hat on the field during the middle of the game? Looks like a beer league softball team. Men's D lower league too. Since stance socks became official/popular, there's no one wearing stirrups anymore. I know I'm wrong when I say no one, but there's not nearly as many as there used to be. Fine by me. Stirrups make no sense. That’s a piece of history we can leave behind now.